The hauntingly beautiful voice of these mystical instruments has intrigued music lovers and musicians for centuries. But why does the flute holds such importance in Native American culture? 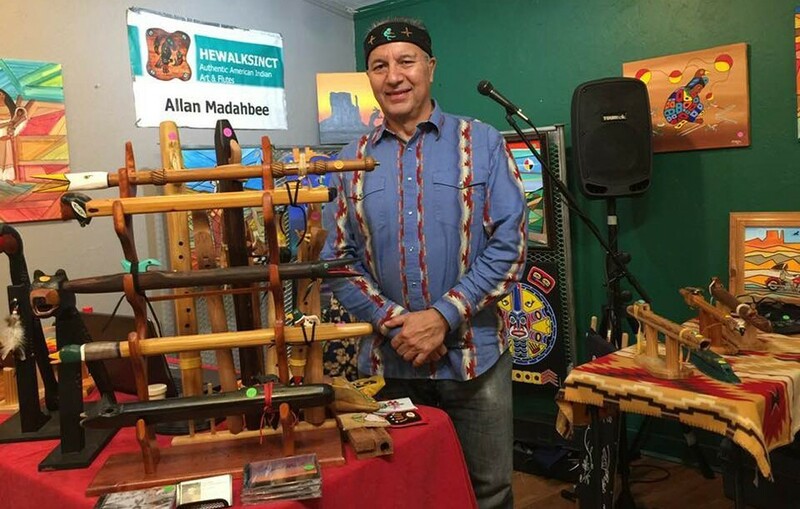 Allan Madahbee, Ojibwe artist and musician, will demonstrate and discuss the significance of this instrument. Allan will explain the legend of the courting flute, showcase a variety of flutes, and describe their construction. A limited selection of handmade flutes will be available for purchase. Already have a flute? Feel free to bring it along. Space is limited – Reservations Required. Please call 860-868-0518 or email [email protected] to reserve your spot.